Carvalho Amauri has finally been confirmed as new Fiorentina player and he immediately set up some targets with his new experience with the Florence based outfit with returning to play with Italian national team as his main objective. Amauri’s deal has officially been announced by the Viola on their official website as the striker reportedly will be presented on Wednesday, something that has been anticipated for quite a while after some delays in the transfer process. Stating his excitement with new adventure at Fiorentina to Radio Tuscany, Amauri revealed how he has really missed playing on the pitch again and can’t really wait to finally get started with the Viola after his tough times at Juventus. The former Palermo striker immediately admitted that he still dreams of wearing the Azzurri jersey again especially in the upcoming Euro and his ready to show national team coach, Cesare Prandelli, all his qualities with the Florence based club. I am very happy to arrive here and I’m looking forward to it. The national team is still my goal, I believe, but only by playing and performing well will I have the opportunity to convince Prandelli. I hope to win the prize of a return to the Azzurri, because it is on my list of ambitions for this second part of the season. 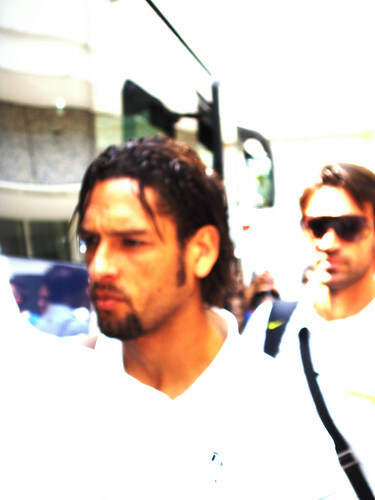 It all depends on my performances for Fiorentina,” Amauri stated. Furthermore, the striker also believes that despite not doing so well in the league at the moment, Fiorentina remains a quality side that can improve their performance in the second half of the season. Amauri also added that he will dedicate his first goal with the Viola jersey to his family as they have been his source of joy during difficult times with the Turin giant, who never gives the striker any playing time especially this season. Fiorentina fans obviously hope that Amauri can prove his words and helps the Tuscany gets back on their track again since things have really been difficult at the moment for Delio Rossi’s team. There’s a big fear among the club’s faithful that should their club didn’t do well this season, next summer more important stars will be leaving the club and make things lot harder for the Viola’s future.